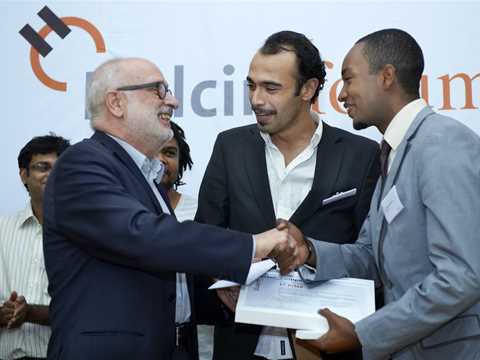 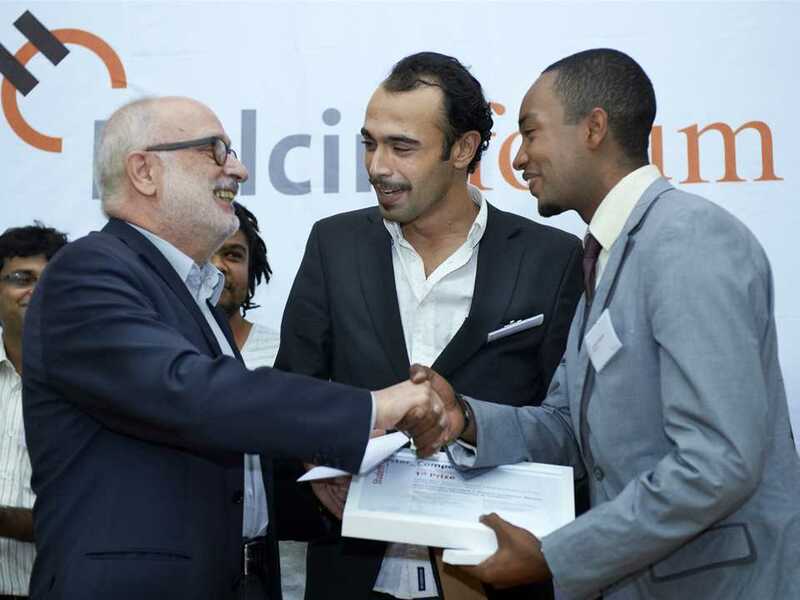 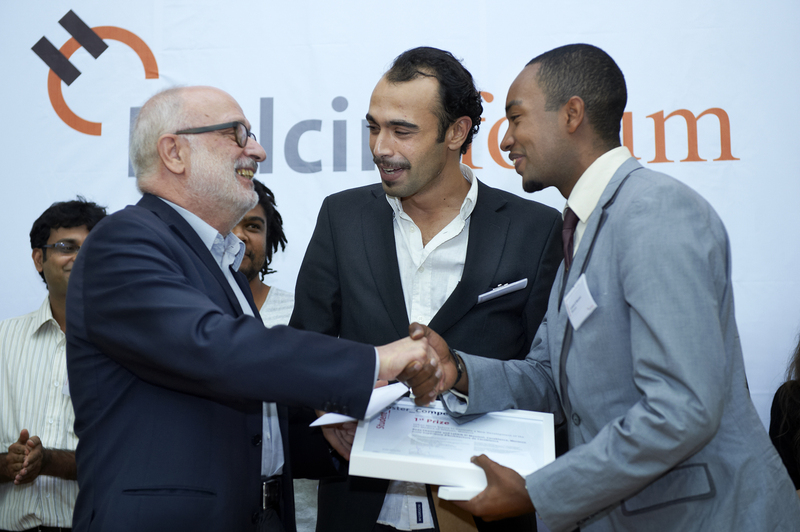 1st Prize in the 4th Holcim Forum Student Poster Competition presented by Rolf Soiron, Chair of the Board of the Holcim Foundation (left) to Reda Channane and Lahbib El Moumni from the Ecole Supérieure d’Architecture de Casablanca (EAC) for “Urban Micro Suture to Generate a New Development of the Old Medina of Tetouan” (Morocco). 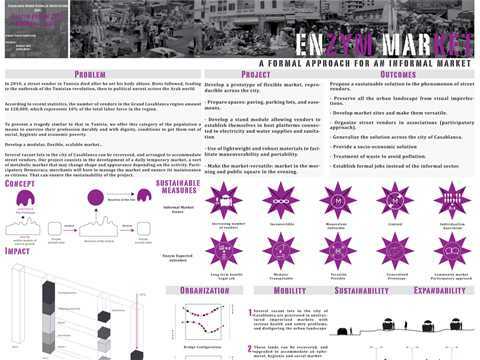 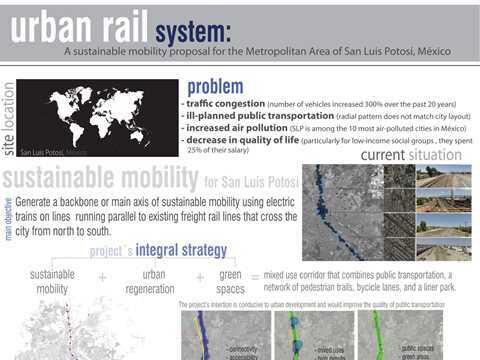 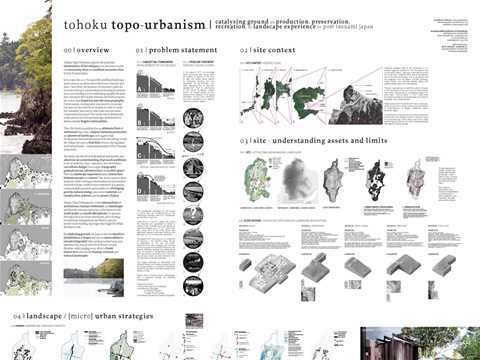 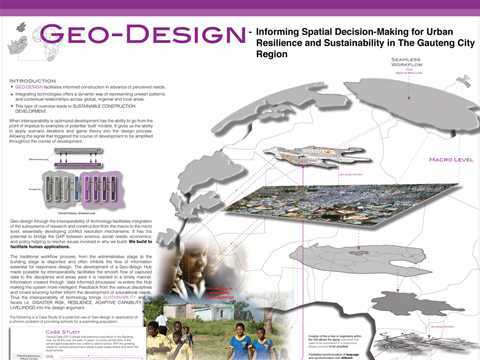 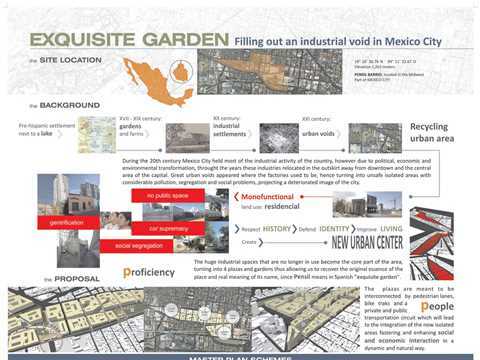 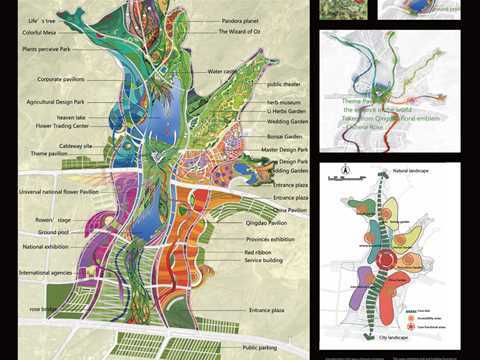 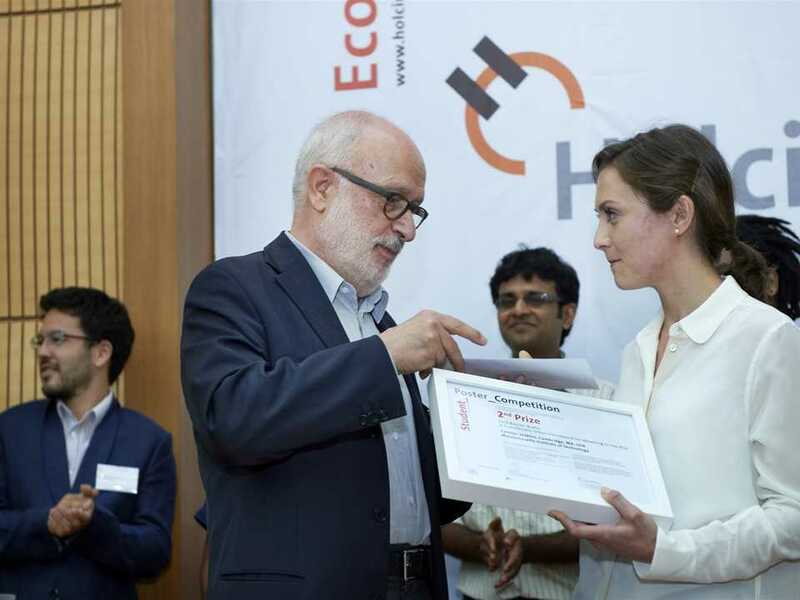 2nd Prize in the 4th Holcim Forum Student Poster Competition presented by Rolf Soiron, Chair of the Board of the Holcim Foundation (left) to Carolyn Jenkins from the Massachusetts Institute of Technology (MIT) for “East Boston Buffer: A Transferable Urban Framework for Adapting to Sea Rise” (USA). 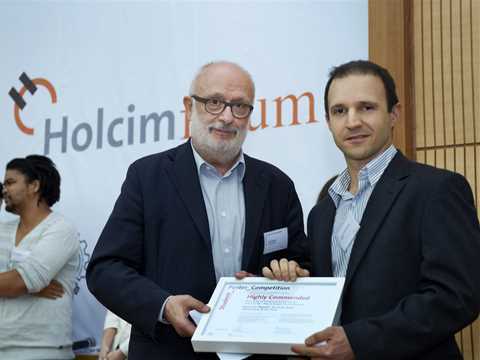 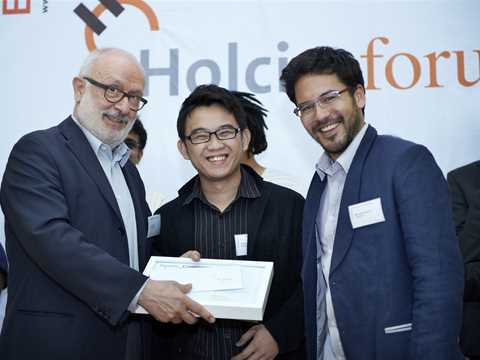 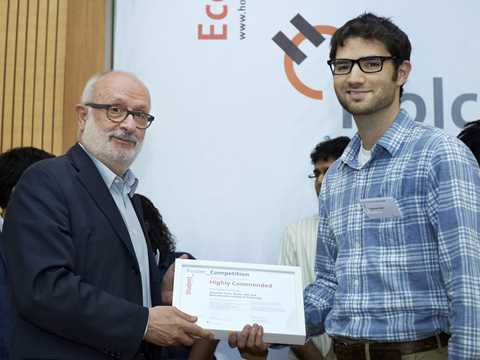 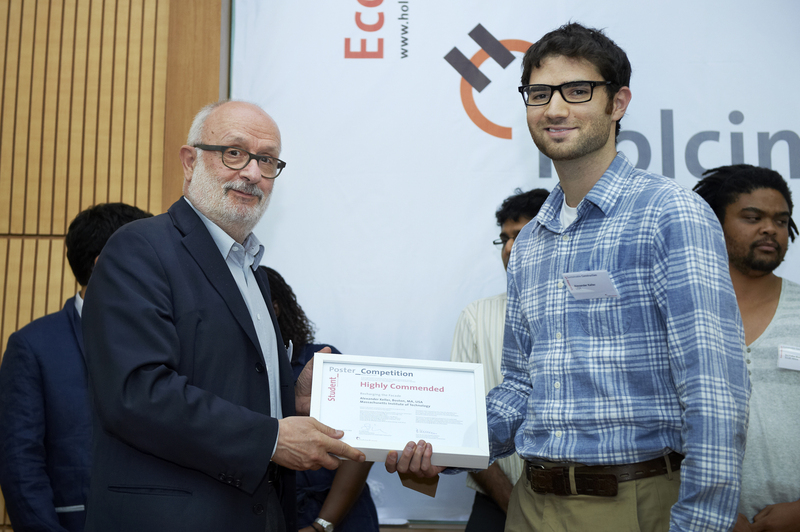 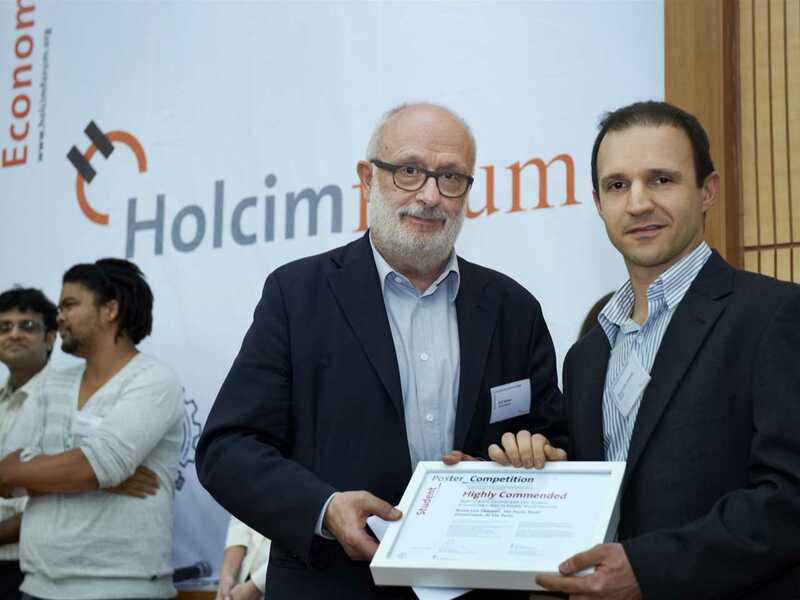 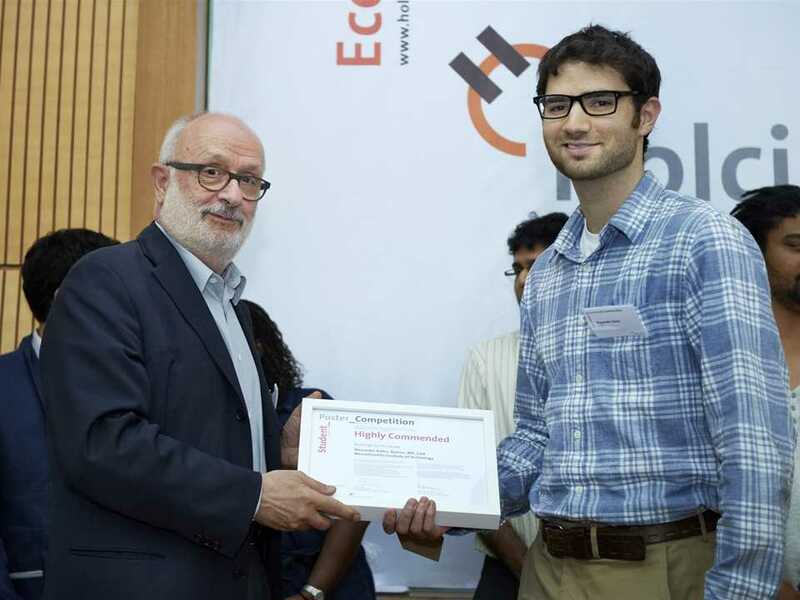 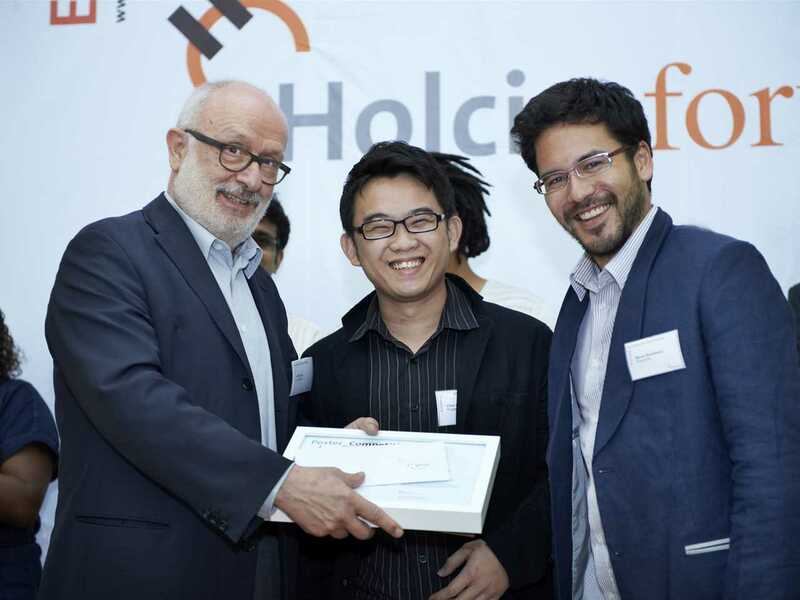 Highly Commended Prize in the 4th Holcim Forum Student Poster Competition presented by Rolf Soiron, Chair of the Board of the Holcim Foundation (left) to Alexander Keller from the Massachusetts Institute of Technology (MIT) for “Recharging the Façade” (USA). 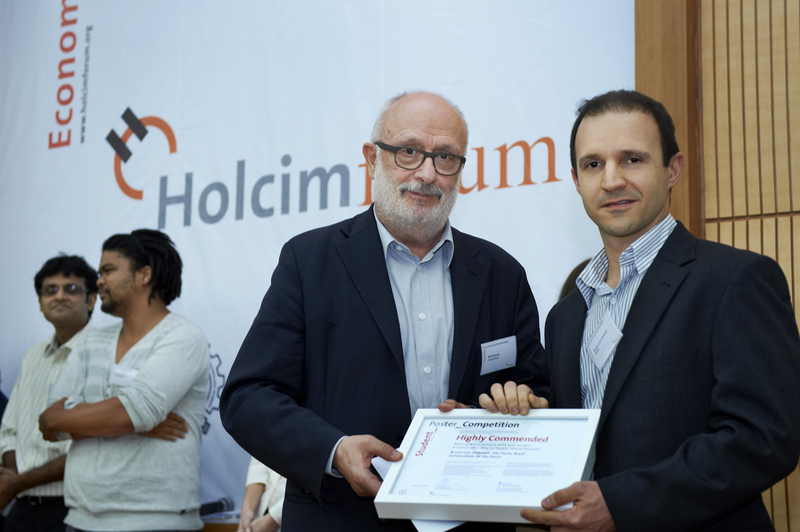 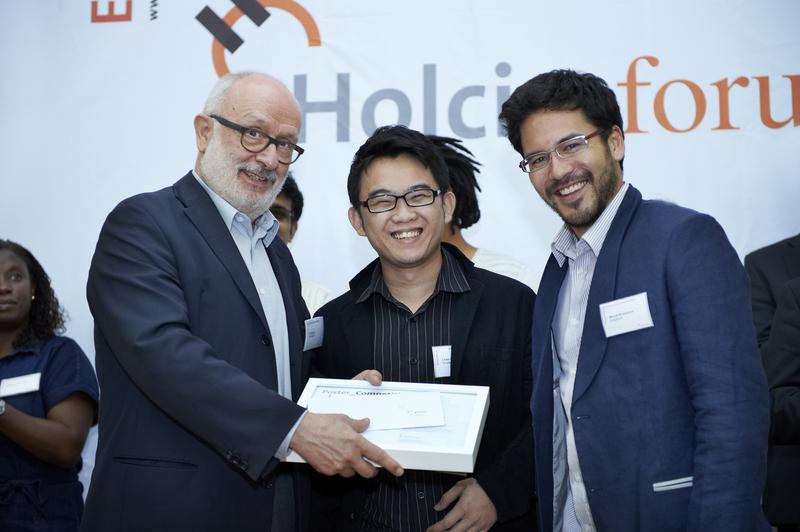 Highly Commended Prize in the 4th Holcim Forum Student Poster Competition presented by Rolf Soiron, Chair of the Board of the Holcim Foundation (left) to Bruno Luís Damineli from the Universidade de São Paulo (USP) for “Making More Cement with Less Binder: A Sustainable Way to Supply World Demand” (Brazil). 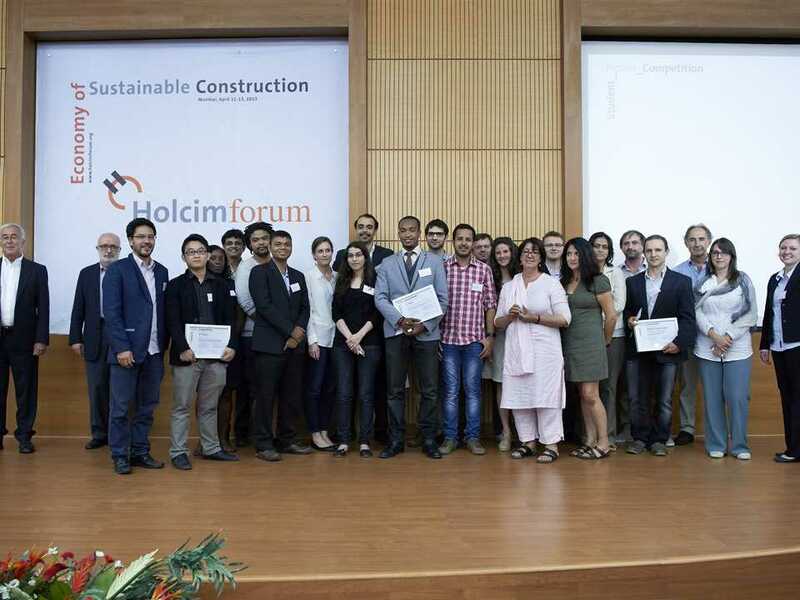 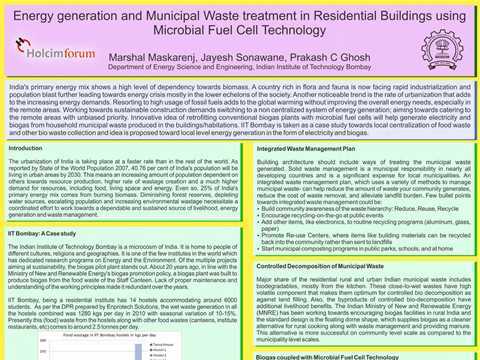 Posters by students from eight of the world’s leading technical universities were displayed at the 4th International Holcim Forum 2013. 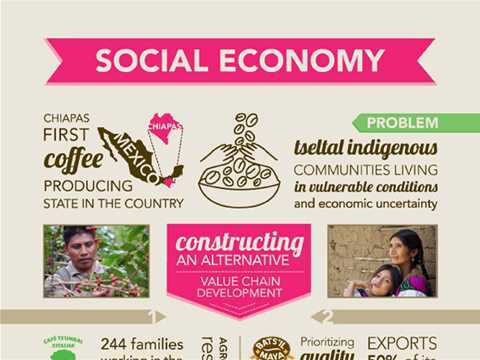 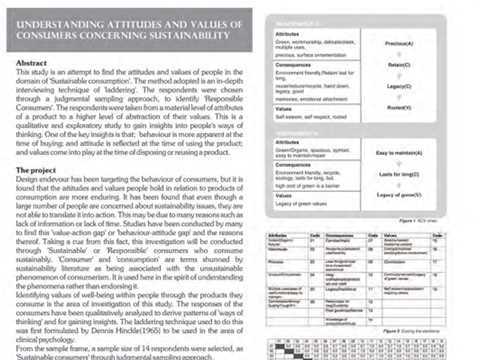 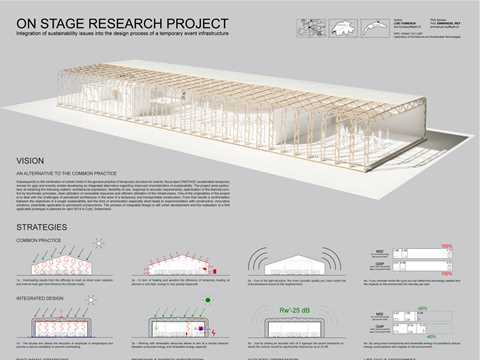 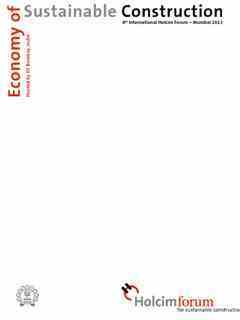 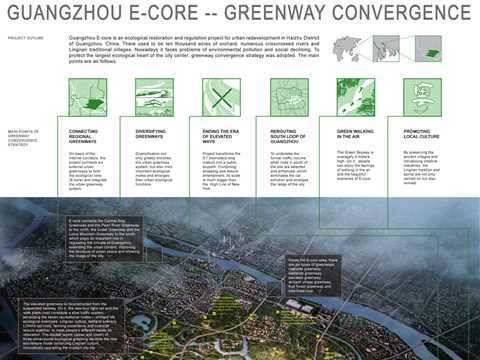 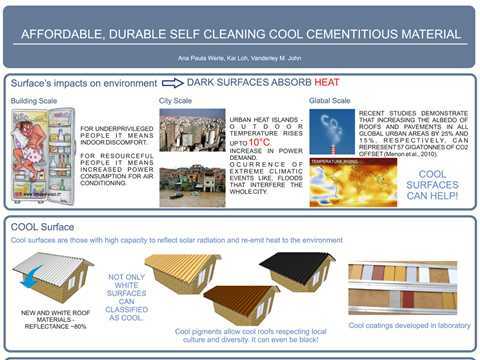 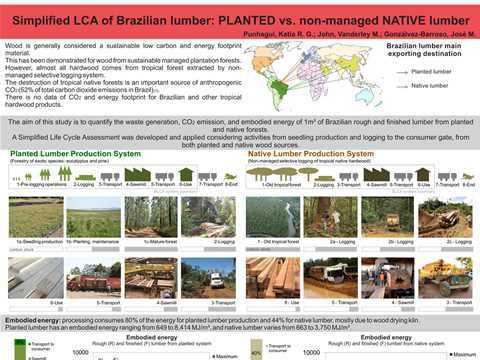 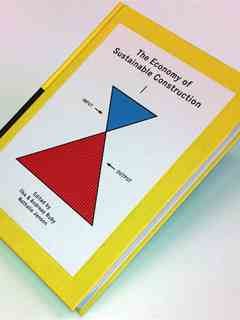 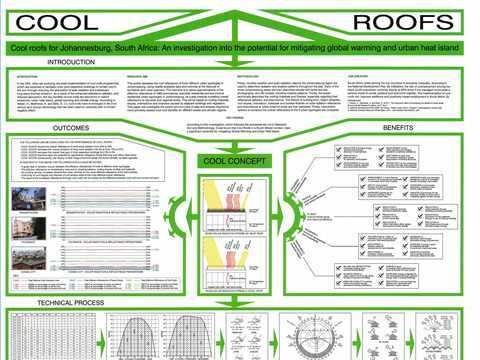 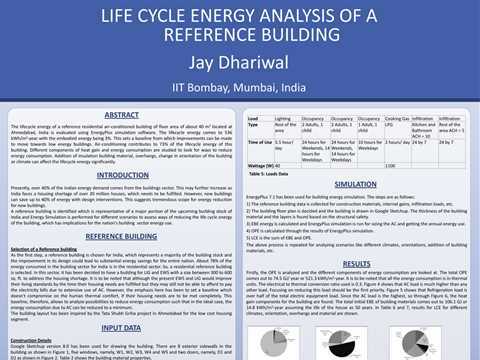 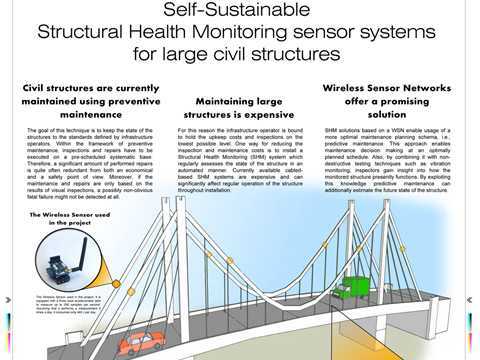 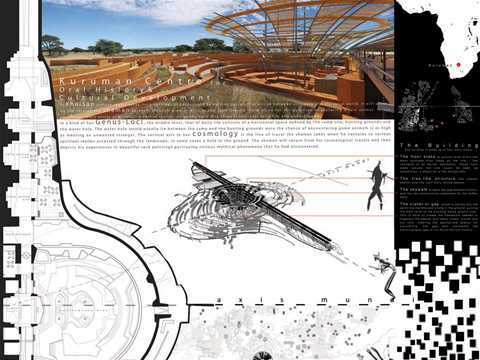 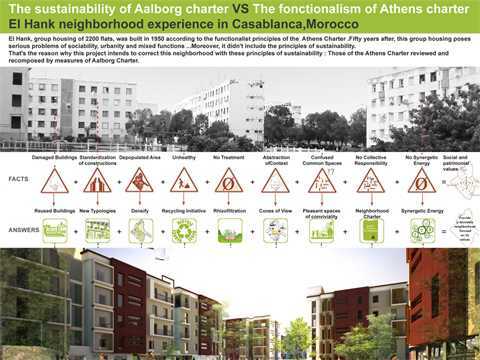 The posters encouraged stimulating discussions on approaches to the “economy of sustainable construction”. 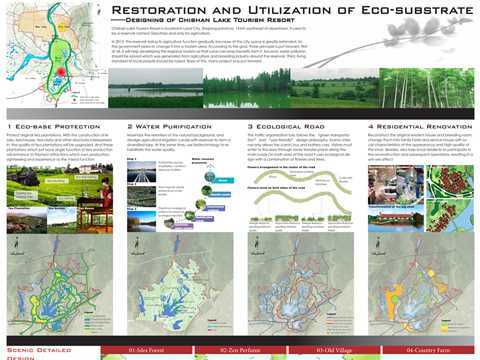 All Forum participants were eligible to vote in the Student Poster Competition. 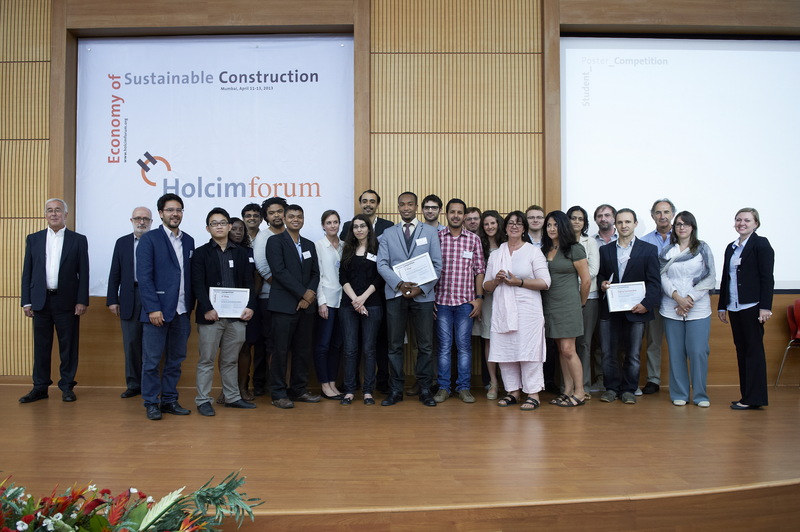 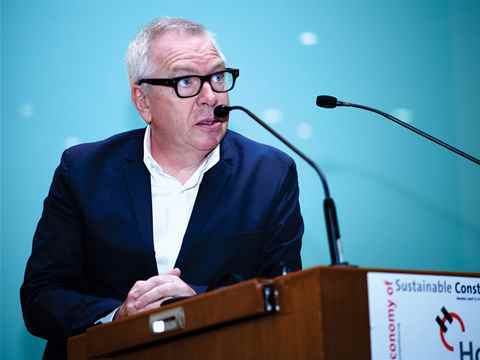 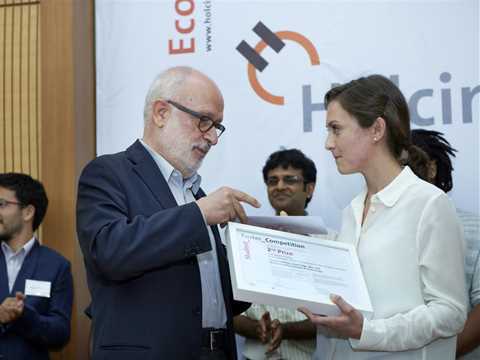 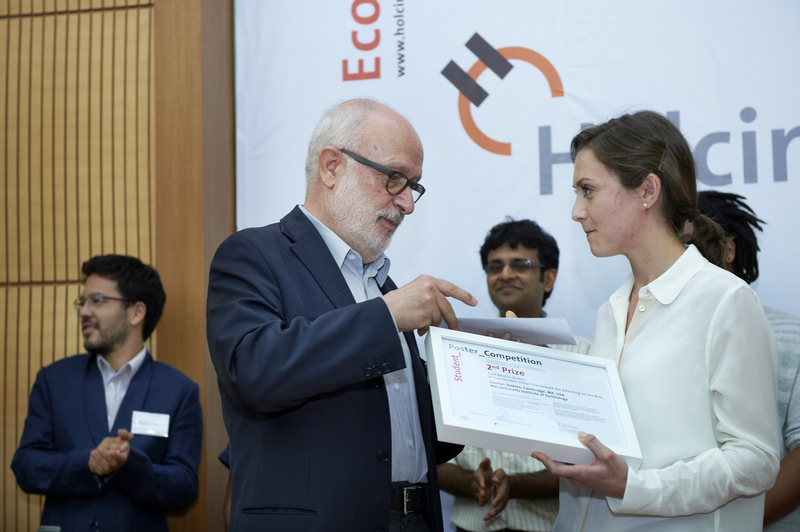 Prizes were presented by Rolf Soiron, Chair of the Board of the Holcim Foundation for Sustainable Construction (Switzerland).